Show your Northern Iowa Panthers pride out on the golf course with our exclusive designed Northern Iowa Panthers logo golf head cover. 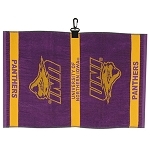 The Northern Iowa Panthers logo players performance golf head cover has a synthetic leather body. 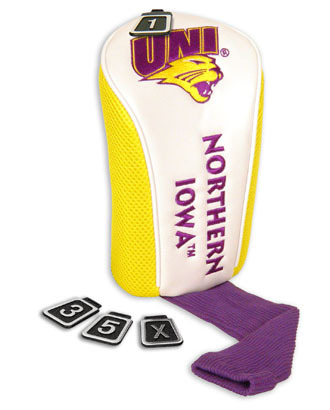 The Northern Iowa Panthers logo players performance golf head cover also has mesh color coordinated side panels and a heavy knit socks.